Where: Yarrawonga Library 26 Belmore St. 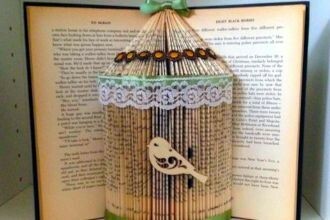 Using an old book, create a gorgeous bohemian bird cage to display in your home. Wednesday 8th May, 1.30–3.30 pm. Bookings required. Craft & Coffee is held on the second Wednesday of every month!